If you’ve done all of this before you get in your car, you have a better chance of other cars seeing you, you seeing them and avoiding hydroplaning. Once you are driving in the storm, there are some important tips to try until you can pull over and wait out the storm. Stay in one lane as much as possible and avoid any unnecessary lane changes. If you can, drive in the middle lane. Most roads are higher in the middle, which means you have a better chance of avoiding standing or running water. Slow down by at least 5 or 10 miles per hour. The faster you go, the higher your chance of hydroplaning. If you do hydroplane, do not panic. Slow down and keep the car steady until it feels normal again. Avoid driving through floods. If water gets sucked into the engine, the car could shut down. Tap the breaks after your driven through a puddle. This creates heat and friction, which will dry the brakes. 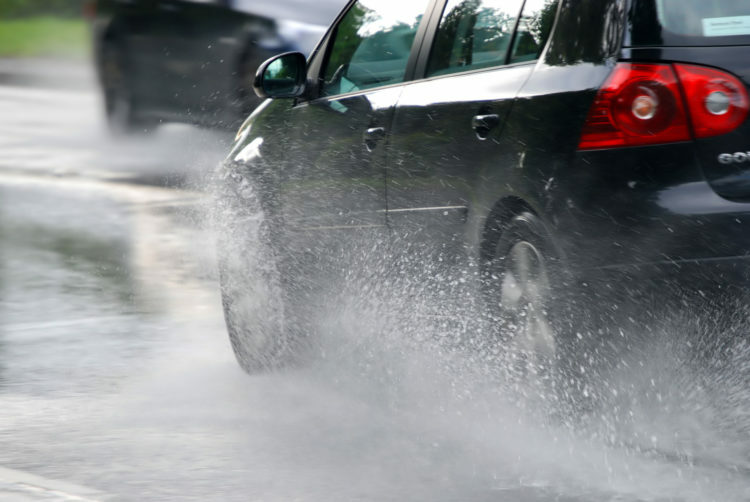 The vast majority of weather-related crashes happen during rain storms. 73 percent occur on wet pavement and 46 percent during rainfall. Make sure you are cautious and try to find a place to pull over to decrease your chances of being in an accident. Turn on your fog lights, if you have them. They are yellow as opposed to white, and low to the ground, so the road is illuminated better. Pump your brakes before entering a fog bank. This alerts cars behind you of what they will be entering. This decreases the possibility of the person behind you of not slowing down in time and hitting you. Slow down before a hill, just in case there is a car stopped that you cannot see. Nearly 1,259,000 accidents are weather-related. 60,000 people are killed and over 445,000 people are injured each year. It is important to take all necessary precautions to not become part of this number. If you or a loved one has suffered a personal injury from a weather-related crash, de Lachica Law Firm is committed to helping you with your personal injury case. Contact Houston car and truck accident lawyer de Lachica Law Firm in Houston today.